Sioux Falls. Rapid City. Pierre. Shipping to South Dakota is simple with TSI. Our shipping specialists are some of the best in the business, with almost three decades of experience. We know the fastest routes and the most affordable shipping options. Expect straightforward service and competitive rates. Our White Glove service is ideal for heavy furniture. A two-person moving crew comes into your home and prepares your goods for transport. They load the truck and head off towards your destination. Upon arrival, tell the movers where you'd like your goods. They provide inside delivery. Pack your goods yourself and save money with our Economy service. You help our driver load your goods into the truck. When your goods reach their destination they are dropped off curbside. In a rush? Ask about our Economy Plus and Select options. Why choose TSI as your South Dakota shipping company? Our vast network means you can ship to and from almost anywhere in the US quickly. Wherever you are located in the great state of South Dakota, we can help. TSI has been providing shipping services in South Dakota since 1989. Our customer service professionals know how to get you the lowest rate for your specific shipment. Your South Dakota shipping quote goes through real human review and is double checked for accuracy. 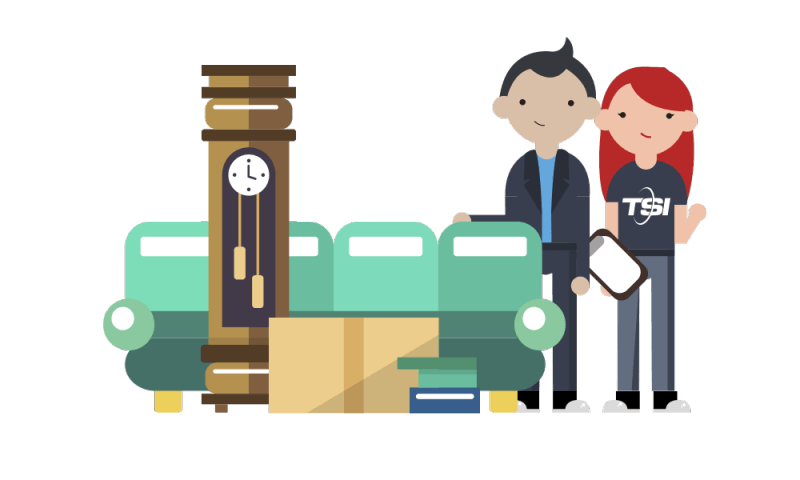 Once your shipment is booked, you have the whole TSI team at your disposal. We’ll handle all the paperwork and offer our expert opinions. Our dedicated team members go above and beyond to get you the best price. Shipping to South Dakota is easy with TSI by your side. Call our shipping specialists at 1-800-626-1257 to get started or request a quote online now.